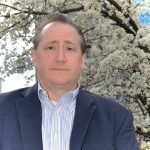 TaxLane, LLC — founded by Steve Photopoulos — offers tax settlement, audit representation, and tax consulting services to individuals and small businesses. He also offers bookkeeping services, payroll support, and QuickBooks solutions and troubleshooting. Work For TaxLane, LLC? Claim This Page.